While most Sydneysiders were ensconced at their nearest beach over the summer holidays, I received an email from a journalist wanting to know exactly what it is that locals love about Sydney. Only problem: there's so much to love! But this was the brief for the piece on a Local's Guide to Sydney for the Guardian newspaper in England. Could you provide an insider's tip for walking or hiking near Sydney? It could be a specific path or hike, your all-time favourite view, the best place to spot wildlife, or even where you go for a mid-hike swim or post-hike meal. What you choose is up to you, but the more unique and off-the-beaten path the better! I thought immediately of the Spit to Manly walk because it has that perfect mixture of getting away from the city and immersing yourself in the local culture. The Spit to Manly walk offers a real contrast of Sydney’s natural beauty and dazzling harbour, all within a short ferry ride from the city centre. While the walk’s end at Manly has plenty of cool beach culture (and cafes to refuel), plan a longer break mid-morning at Clonny’s on the Beach. Clonny's on the Beach is a low-key beach kiosk that values good food. It's at Clontarf Reserve, stop 5 on the Spit to Manly walk… which means you've been walking just long enough to justify a morning tea break! Read the full article A Local's Guide to Sydney in the Guardian UK. 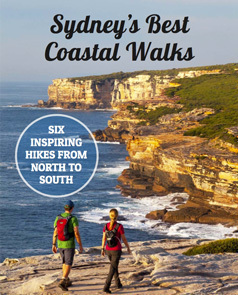 See more of Sydney Coast Walks featured in the media.